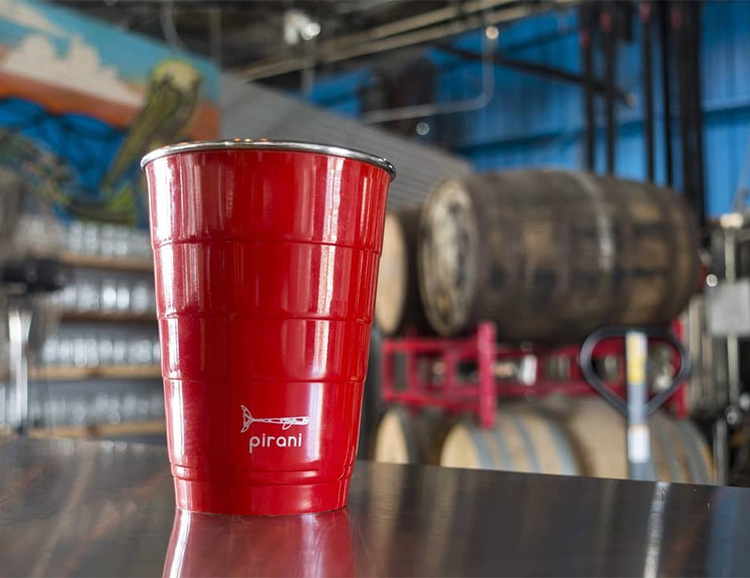 The vacuum-insulated Pirani Party Tumbler is pretty much the Porsche of Pong cups. It keeps your drinks hot for 6 hours or cold for 12, keeps those red Solo cups out of the landfill and is made of food-safe 18/8 stainless steel. The design also features marks for accurate 1, 2, 5, 8, 12, and 16-ounce pours.